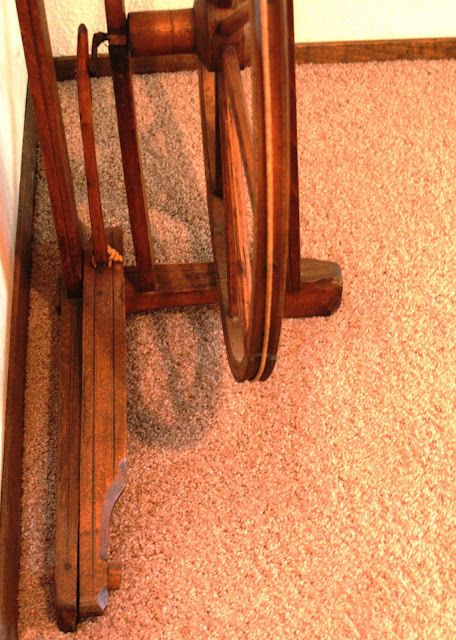 The Flax Spinning Wheel has a great story. I love tea carts, so I found a tea cart in the newspaper one Saturday and decided to take a look. My sweetheart and I drove to a beautiful home and was greeted by a very sweet women. We saw the tea cart and bought it. Then she said " would like to buy this flax spinning wheel". I thought it was beautiful. The upright position was intriguing. And the price was right. I decided to buy it. We visited awhile and found out that we had mutual friends. The cabinet maker that built all the cabinets in their house was the same cabinet maker that built all of our cabinets. SMALL WORLD. We are great friends now and call each other every month or so. 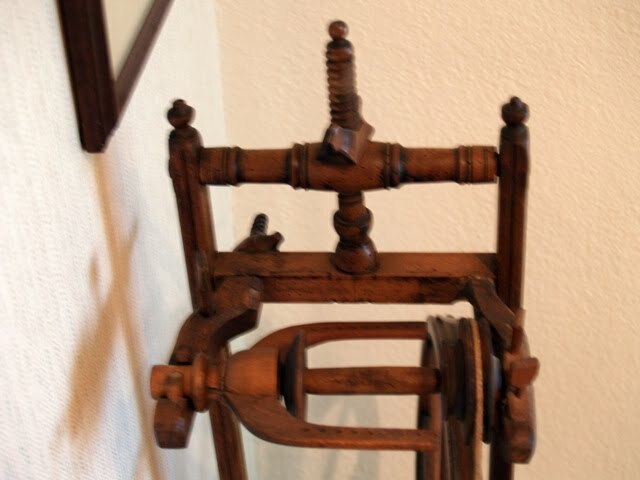 I love this piece and my granddaughters love to peddle the spinning wheel as they pass by going out the front door to go home after a visit with me. Hope you enjoy my thrifty treasure. Thanks for stopping by to visit. I love to read your comments and hope you will join as a follower. I'm joining Suzanne @ Coloradolady for Vintage Thingies Thursday. Leigh @ Tales from Bloggeritaville for Thrifty Thursday. Oh! 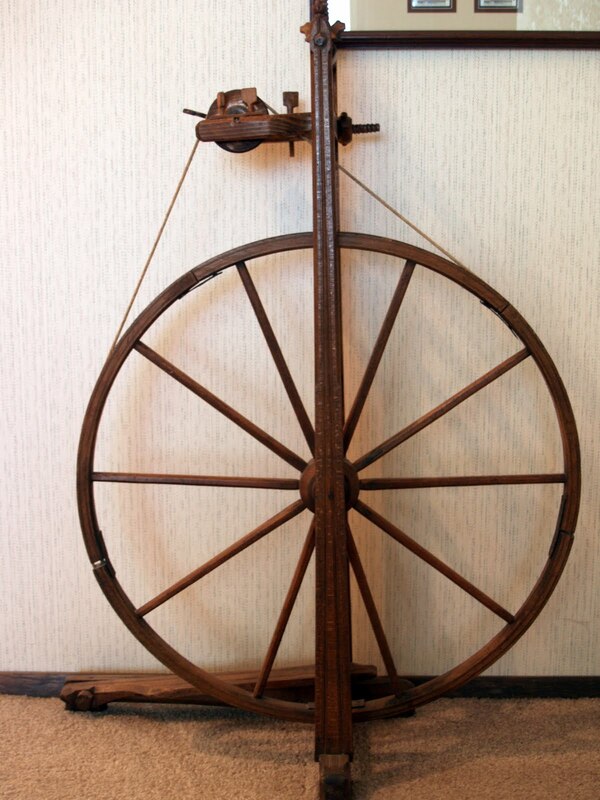 I love your spinning wheel, so lovely! That is so nice. It looks like a piece of sculpture. 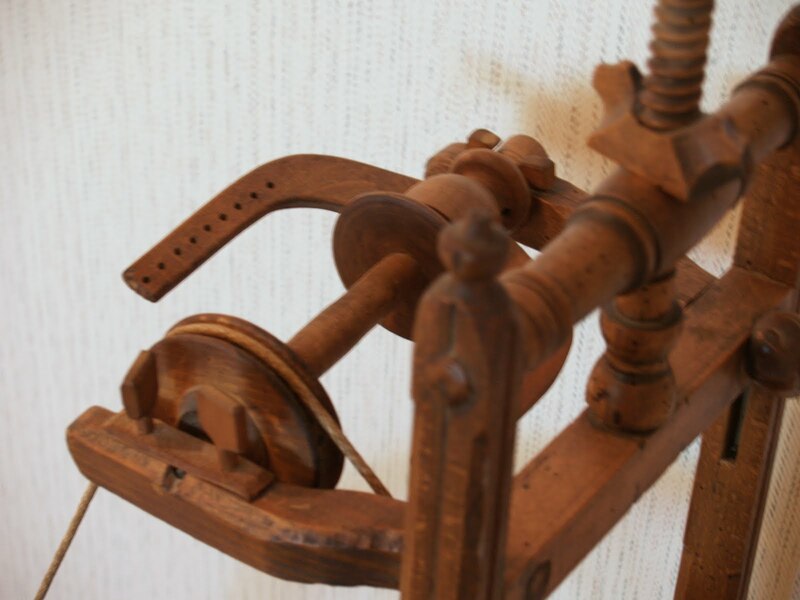 The flax spinning wheel is a great find! 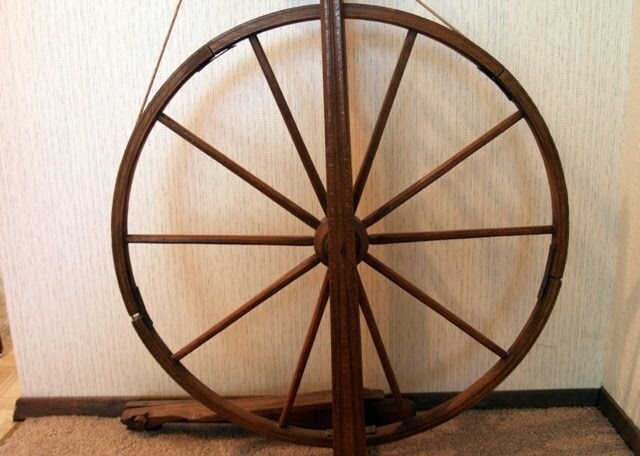 Have you thought about learning to spin? That's a wonderful piece. While it has a practical purpose, it also has an artistic appeal as well. I also love that you developed a friendship with it's previous owner!! Isn't that neat! You don't see those often..at least, I don't! Betty this is so fascinating! Can you just wonder the history of where this has been and the people that have used it and the things they made with it? !